We're showing information for 45662. Customers and consumers are more educated about their purchasing options than ever. They look at their many choices, choosing the business that can best address their specific needs. That means the Ohio market is always getting more competitive. Having a fast, reliable Internet connection will set your Portsmouth, Ohio up for success. Frontier Business packages offer a variety of phone and Internet services—including Business High Speed Internet—designed to help you stay connected with both your customers and employees. Recent data suggests that the job-growth rate will reach an average of 21.10 percent across Portsmouth. That means that in addition to fighting for customers, companies will have to increase efforts to attract and hire quality employees. Luckily, you can rely on Frontier’s services for small businesses to give you the keys to success—even in a competitive environment like in The Buckeye State. Texting is a feature that gives you a high-tech way to support sales and promotions. 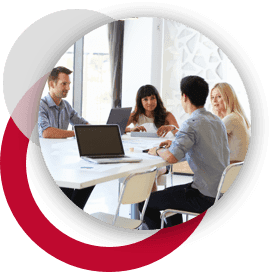 Conferencing lets you connect with employees, set goals, and manage performance expectations. Ensure your efficiency and safety by taking advantage of Managed IT services. And, with Web Development and Hosting, you’ll finally be able to build that strong online presence you’ve always wanted. Frontier offers the variety of services you need to connect with your customers and employees to stay ahead of the competition in modern markets. As a result of growth and expansion, thriving companies in Ohio face new obstacles to overcome. Frontier’s Enterprise Solutions are designed to help businesses meet these challenges while ensuring steady growth and longevity. For instance, scalable Ethernet systems (both Virtual Private Line and Local Area Network) support your business as bandwidth requirements change and as the need for more connectivity increases. Plus, an IP Virtual Private Network allows you to tap your digital resources securely. However, growing businesses in Portsmouth require more than scalability. For this reason, Frontier Communications provides additional features like reliable phone lines with pitch perfect quality. With the premium telephones offered by Centrex from Frontier, communicating with clients throughout The Buckeye State will be simple and effective. Spend your time connecting with clients and perfecting your business while Frontier handles network design, IT monitoring, hosting, and equipment management. 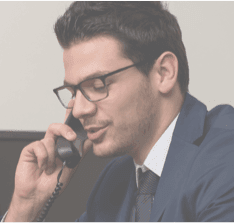 Then, get Frontier’s Hosted VoIP solution and take your customer service to the next level with the benefits of voice-to-email integration, Voicemail, Caller ID, and unlimited calling. Regardless what industry you are in, from Finance to Hospitality, your customers and potential customers want to be able to get in touch easily and efficiently. They expect to interact with your employees online, in person, and over the phone; and they tend to remain loyal to businesses that provide the resources to make these interactions simple and efficient. By choosing Frontier in your area, you get dependable customer service and advanced infrastructure and equipment. Plus, Frontier's services are customized to fit your industry, so you'll be a step ahead of the competition. Do you want to protect your business from cybercrime? In 2013, there were actually 0 cybercrimes reported in Ohio. Fortunately, there are ways to prevent such a crime from happening to you. Frontier Secure is ready to provide you with the cloud backup, malware and virus protection, and technical support you need to keep your business safe. Plus, Frontier has equipment replacement programs for when you want to be sure your Ohio business is protected on every level. Of course, in order to be truly successful, your business will need to pair strong online security with a fast Internet connection. If you want to spend less time waiting to download or share files and more time connecting with customers, Frontier’s Internet solutions offer the fast speeds you’ve been looking for. In fact, you can enjoy speeds of up to . How’s that for fast? Frontier offers unique Internet solutions that will suit your company’s needs. Call today to learn more!